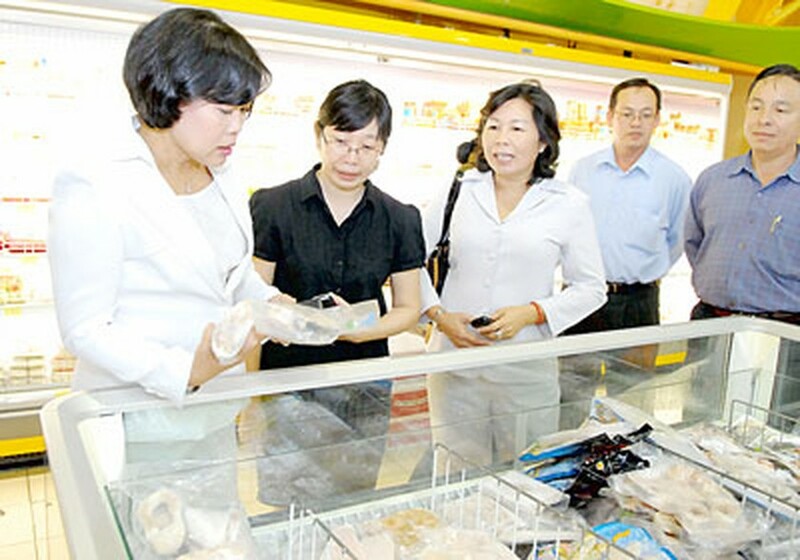 Nguyen Thi Hong, deputy chairwoman of People’s Committee of Ho Chi Minh City, on January 21 asked businesses to take the initiative to increase mobile outlets for price subsidized goods for residents living in outlying districts of the City. She made this request while inspecting preparation and supply of Tet goods in Districts 7 and Can Gio. Nguyen Cong Thuan, director of Can Gio Trading Company, said that they have opened nine stores to sell subsidized goods in eight out of nine communes in the district. Besides fixed stores, the company has also organized mobile outlets in remote residential areas. Each trip carries 180-200 assorted commodities, mainly of essential items. On this occasion, Ms. Hong gave away 200 gifts financed by Saigon Agriculture Corporation for the poor in Can Thanh and Long Hoa Communes of Can Gio District. On the same day, she also surveyed the supply of goods at Vinatex Supermarket in District 7. Duong Thi Ngoc Dung, director of Vinatex Supermarket chain, said that Tet goods were always profitable.